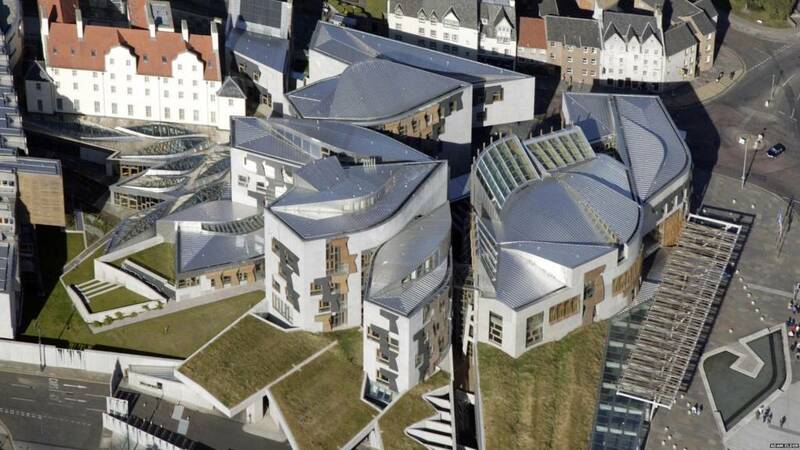 That's it from Holyrood Live today! That's it from Holyrood Live today. The Tory-led tax debate preceding the budget tomorrow offered a good overview of each parties position on income tax. The real headlines will come tomorrow when Finance Secretary Derek Mackay confirms the changes. Today only offered small clues about what approach the Scottish government will take. Join us tomorrow for live updates, background and analysis. Click here for a budget bonanza, we get underway in earnest at 1.30pm, after our coverage of the chamber including first minister's questions. Joe FitzPatrick describes species champions as an "innovative and fun" initiative. He admits he is not a species champion himself though, after a "difficult question" from SNP MSP Graeme Day. He closes by congratulating Scottish Environment LINK for its work. The minister praises the Heads Up Harrier project. Parliamentary Business Minister Joe Fitzpatrick says the government has brought forward inovative measures to tackle raptor perscution, including vicarious liability. The minister praises the Heads Up Hen Harriers project. Parliamentary Business Manager Joe Fitzpatrick says that the fall in hen harrier numbers is particulary important because Scotland is home to 80% of the UK's total population. In areas where there is driven grouse shooting hen harrier numbers are especially low, he notes, but without carcasses it is difficult for criminal convictions. Tory MSP John Scott discusses barriers facing the survivability of hen harrier chicks. He asks if the new Forestry Commission, under Scottish government control, will take on fox management. Would Yew believe Ms Martin used to be a Goth? Gillian Martin MSP takes the opportunity to talk about her championing of a species close to her heart - the yew tree. She reminisces about being a teenage goth and listening to Sisters of Mercy when her hair was dyed black, and says she was drawn to the yew tree because it is associated with death. But, she says, the "Doctor Who of trees" is also associated with resurrection and longevity, something she hopes people associate with her as her 40s draw to a close. She made a visit to Perthshire's 3,900 year old Fortingall Yew and is now raising a yew tree in her garden. "We're growing very old together"
Lib Dem MSP Liam McArthur says he takes his role as champion of the Scottish primrose seriously. Mr McArhur says hen harriers have declined but territorial pairs on Orkney have bucked the trend and risen. He cites "illegal and deplorable raptor persecution". Green MSP Andy Wightman argues that 'Heads Up for Harriers' has not done enough to address the persecution of these birds. He says illegal persecution will not be identified by the project as a cause of nest failure, while natural causes will - making the data disproportionate. He describes this as a "flawed approach". Graeme Dey MSP acknowledges the "real heroes"
SNP MSP Graeme Dey pays his respects to the "real heroes" who work in the field, citing the Royal Botanic Gardens Edinburgh specifically. He notes that two bird nests failed to produce any chicks this year due to natural causes and feels this is evidence for the counter argument that nest failure can be due to other causes rather than illegal persecution. He says he hopes tonight a message can be sent from Parliament: "We want to see many more estates participating in this scheme". Labour MSP David Stewart is the species champion for the great yellow bumblebee - and is sporting a badge to prove it. He says bumble bees are facing as much risk as hen harriers. SNP MSP Christine Grahame says the house sparrow, as a small seed eating bird it is very close to the dinosaur that survived the alleged asteroid that is said to have wiped them out. Ms Graham asks: "Are we listening to bird song or are we listening to dinosaur song?" She says the house sparrow can survive the Scottish weather wich is why it survived the asteroid attack. Tory MSP Donald Cameron calls for collaborative work to protect birds of prey. He says one of the main challenges is collecting data, particularly on crime. Ms Gougeon says there have only been 16 sightings of hen harriers across Angus and Aberdeenshire in 2017. Illegal persecution is the main cause of a fall in harrier numbers - there are only 460 breeding pairs in Scotland. In the last 12 years the population of hen harriers has fallen by 27%, she says. The SNP MSP highlights the Heads Up for Harriers campaign, which is identifying, monitoring and protecting nests as they find them to get a better understanding of natural threats to the species. Mairi Gougeon is calling on shooting groups and conservation groups to work together and have dialogue in order to protect hen harriers. She says "only there is there a chance" that the species will survive.